that idea kept getting pushed to the back. 2 nights before the big day, after dinner, in the middle of me making cookies, I threw all the stuff out there on the table and told Mark they had to get it done. He was less than thrilled and a little lost on the craft front. There were a few blank stares and some whining. I would run over to direct as much as possible, but I was up to my elbows in cookie dough. 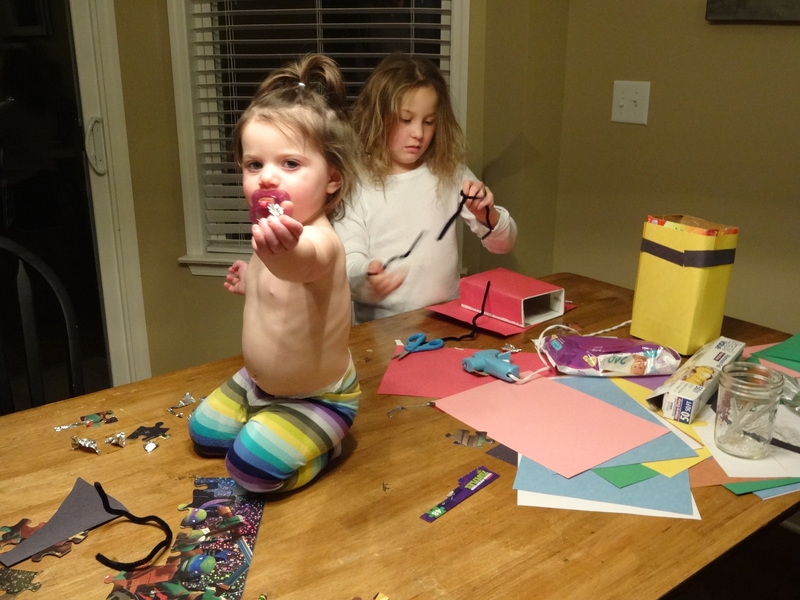 No craft project is complete without a shirtless baby on the table. In the end, they finally finished. 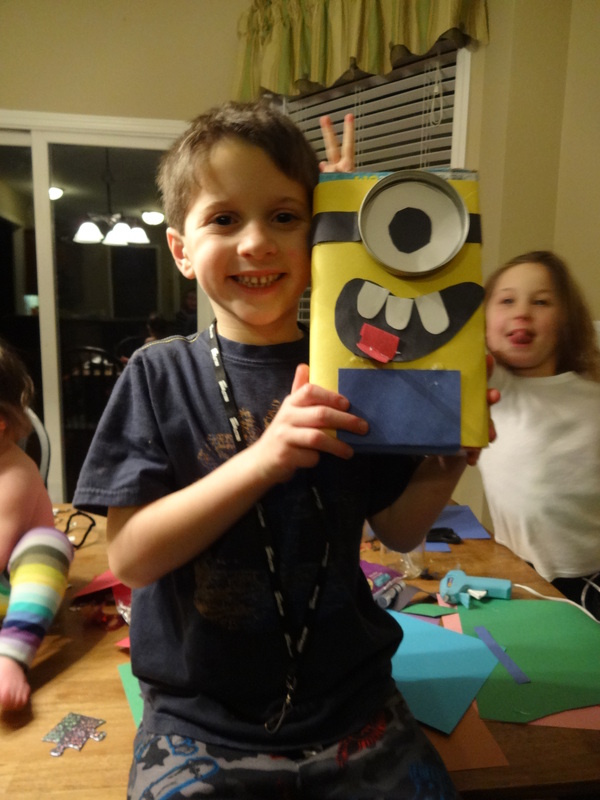 Maddox made a Minnion and Emma crafted a bunny with a cotton tail. 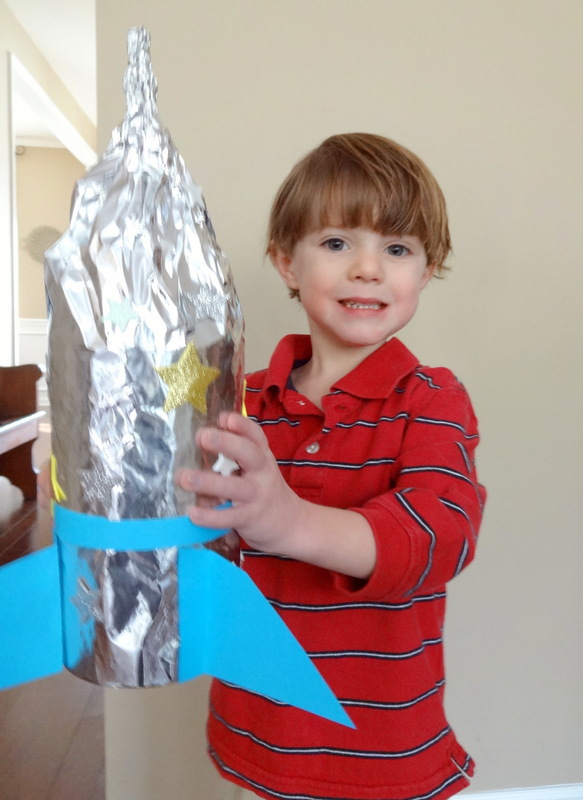 Tanner got a rocket ship made from an oatmeal container and aluminum foil. I stuck some glittery star stickers on it and it was kinda cute. Tanner loved it. That’s what matters. 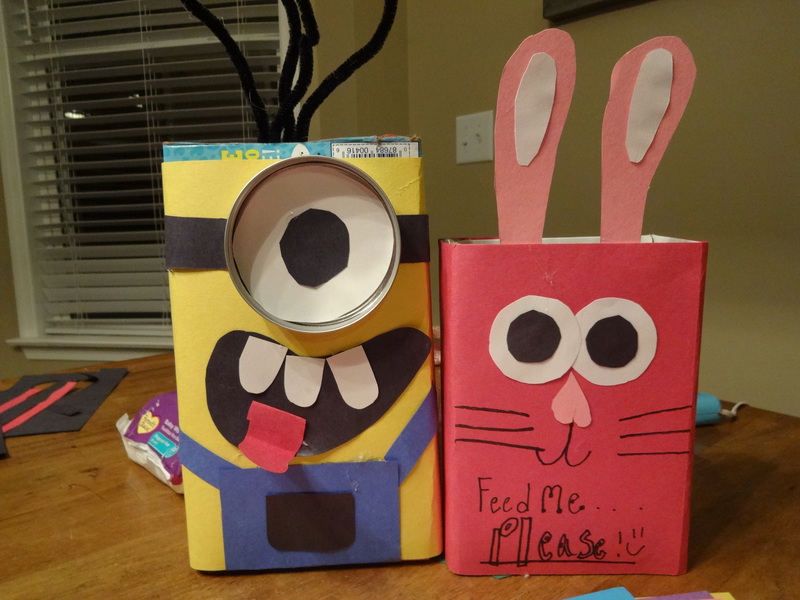 I was happily surprised that they were not completely loaded down with candy this year. Just a few suckers and some smarties. Perfect. On Valentine’s Day, when we picked up Tanner after school Meredith starts crying and whining. I couldn’t figure out what she wanted. She settled down just a little and then when the big kids got in the van, she started up again! Crying and throwing a fit. I tried to give her everything I could think she wanted. Nothing. We get home. 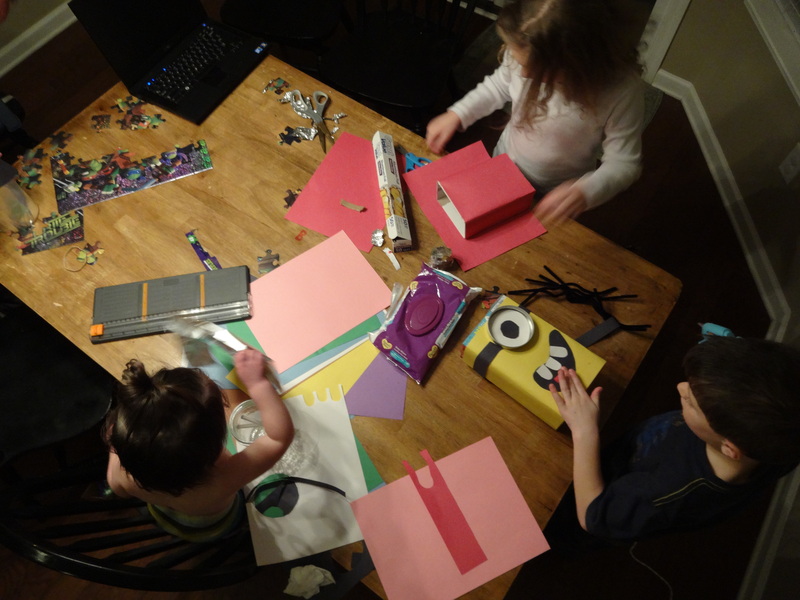 The kids come in super excited to show me all their valentine cards from friends and of course open some candy. Mer went straight to Maddox who already had a sucker sticking out of his mouth and she started to whine. So what does he do? He opens her a heart sucker and hands it to her. What does Meredith do? Clap and smile and eat her sucker! She KNEW they had candy!! Somehow she knew it even before they got it all out. As soon as Tanner got in the van, she knew it! It was the funniest thing.